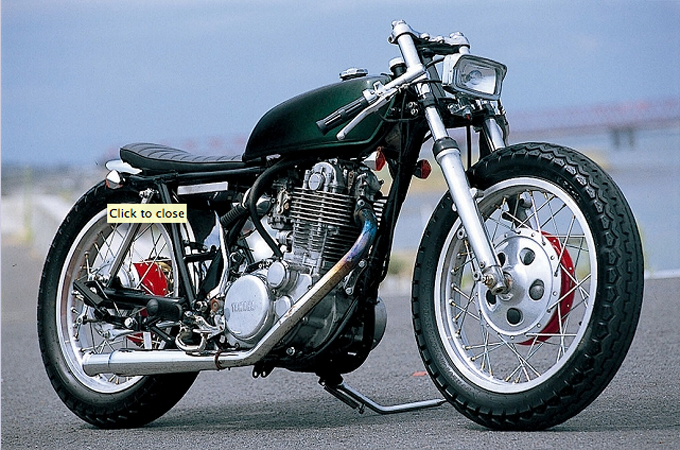 Yamaha SR400 Gravel Crew style. This Japanese shop always gets us excited in the nether regions. The clip-ons probably couldn’t get any lower. The square headlight is a unique touch that makes these guys great. Check out their gallery for more inspiration.